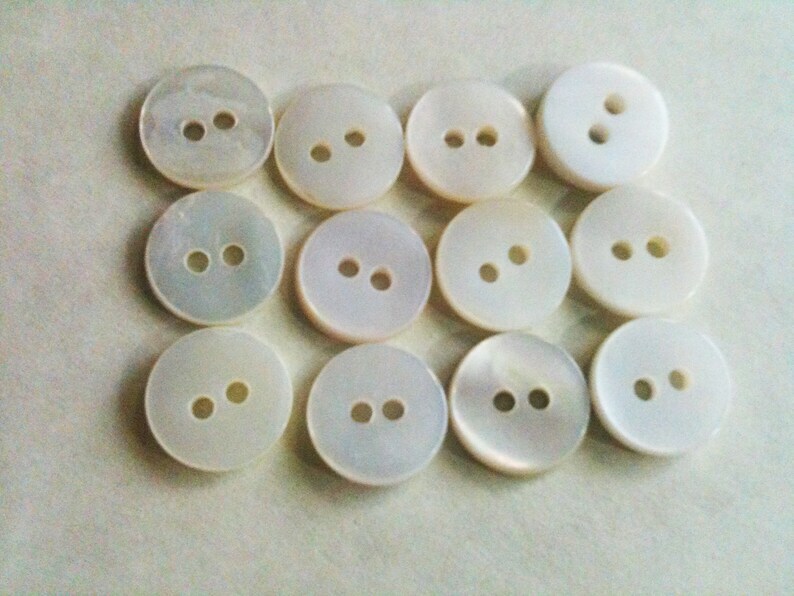 This listing is for one dozen Shell mother of pearl buttons that are 11mm in size. They are round with a square edge and have 2 holes. The colors vary from white to soft ivory.